Record Store Day was founded in 2007 by a collaboration of US Record Store enthusiasts who wanted to celebrate the unique culture surrounding independently owned record stores. 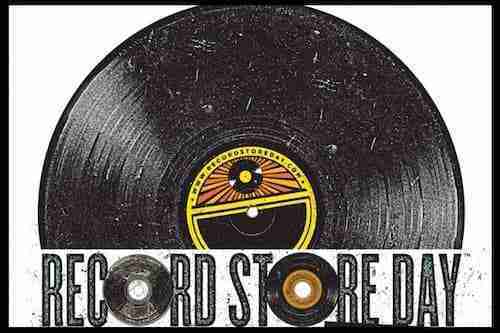 Since 2007 Record Store Day is celebrated on the 3rd Saturday of April every year. Each year record stores and musicians from across the globe come together to celebrate music offering exclusive Record Store Day only limited edition releases, one off in store performances and other promotional goodies. The majority of the releases are non-electronic which is disappointing, however there is still plenty to check out…..
Last year I missed out on an exclusive Blur 7″ by not getting myself organised and being as they are my all time favourite band I was a little gutted. So if there is an artist who you simple cant live without make sure you get on the Record Store Day website pronto for the full list of exclusive releases and participating stores. Here’s a few things we’re tempted by….